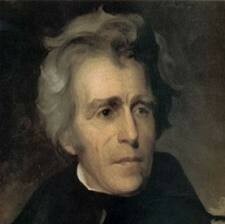 Jackson was born on March 15, 1767 in a settlement on the boarder of the Carolina's. When he was 13 he joined the militia. Later Jackson was captured by British soldiers and kept him and his brother captive. In the prison camp he and his brother got smallpox. When his mother found about this she begged the British to release them. She got her wish but on the way home Jackson's brother died. Some time later Jackson's mom died of cholera. 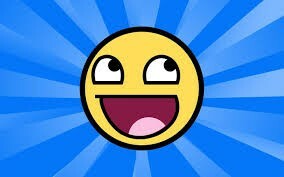 After that he went to live with his uncle and began studying law. A couple years later he became a lawyer in Tennessee. In the same year he became a lawyer he got elected to the house of representatives. The next year he got elected to the senate. Later he was elected the judge of Tennessee's supreme court. He also commanded the Tennessee's militia in the war of 1812, winning some battles in the war. Due to his success he was promoted to major general. After being promoted he lead the army to win the battle of New Orleans he was viewed as a national hero. He was reelected to the senate in 1822 and then nominated for president by the Pennsylvanian convention. Jackson is beating a indian with a club. He supported slavery and he was a rasist person. He also forced indians out of their home land. He made decisions that supported the common and not the rich people. He did all that he could to stop the rich from being richer and the poor becoming poorer. He didn't promote democracy with these following actions. 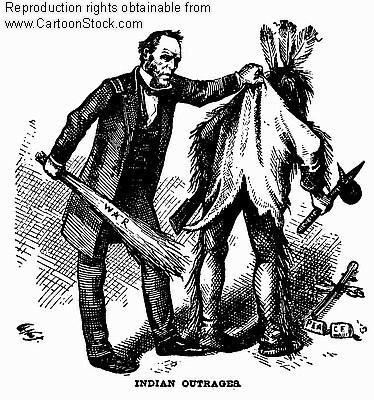 He hated indians and forced them out of their home land with the indian removal act. He also made false treaties and tricked the indians into giving land. Many of the indians also died when they got forced out of their homes. He also promoted slavery.